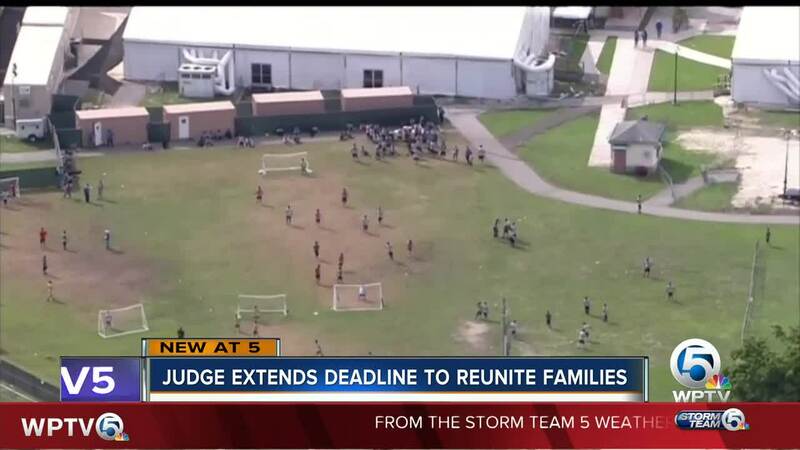 Families in South Florida affected by the government's zero-tolerance policy are now working to try and reunite with their loved ones. However, it is proving difficult as some parents have been deported while their children still wait in government facilities across the U.S.
"Immigration deport her and the kid stay here," said one Lake Worth woman who didn't want to be identified. The woman volunteers at the Guatemalan-Maya Center and it's her cousin who was recently deported. The woman's 10-year-old son is currently being held in the Homestead facility. Her story is similar to others throughout South Florida. "We know where children are, but we don't know where their parents are," said U-S Congresswoman Lois Frankel. The Democrat held a roundtable discussion Monday in Lake Worth along with 2 child psychologists to talk about the impacts stemming from the zero-tolerance policy. "I just say it’s shocking that we have a government that takes children from their parents and doesn’t know how to bring them back together,” said Frankel. According to Renee Layman, one of the psychologists who was part of Monday's discussion, each day that passes is creating a bigger mental health concern. “So actually 1/3 of mental health disorders in adulthood can be traced back to early childhood toxic stress. The longer they are separated from their safe caregiver the more toxic stress there is," said Layman. Congresswoman Frankel is now pushing for the U.S. Department of Health and Human Services to release specific numbers and exact plans on a timeline for reunification. There is currently a court order that requires the reunification of parents and children but a deadline to reunite all children, not just those under 5-years-old is unclear.